My husband is officially in his 4th year of medical school! He only has one year left and I am SO EXCITED! One thing about medical school is that he doesn’t really get a day off. When I had my 3rd little girl, the doctor he was following gave him 2 days off. I thought I was in HEAVEN! Because of his crazy schedule, (and the money situation) we don’t have time to go on marvelous vacations. So one of our favorite things to do is go on mini vacation…. 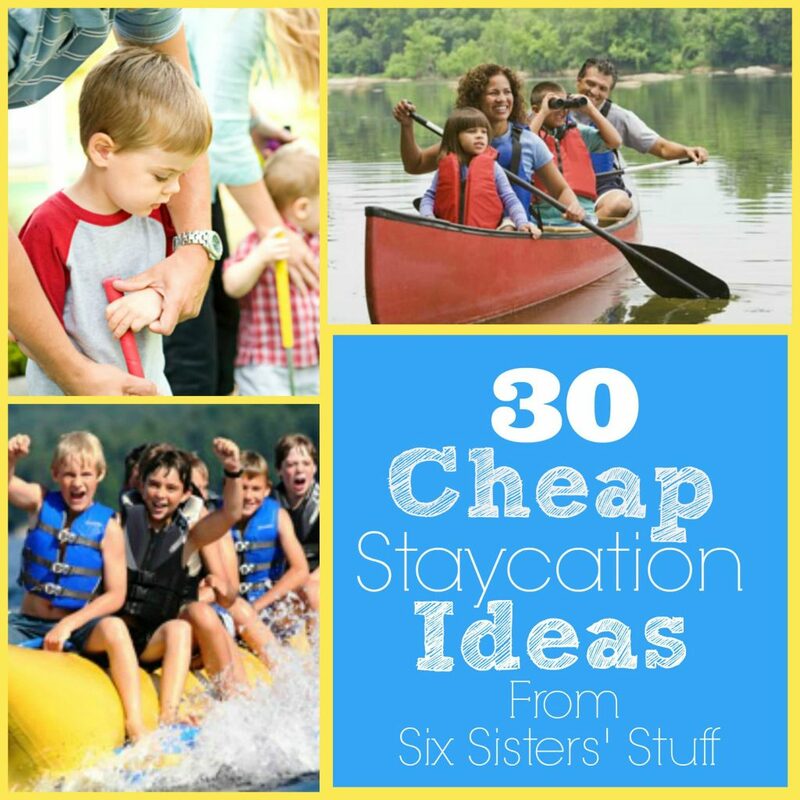 AKA a “staycation.” I love to find cheap, fun, activities that our whole family can do together. Here are some of my favorite things! Please feel free to add any ideas you have! Make sure you use your local library to save money on some of the museum or zoo admissions. Great ideas!! You came up with some I hadn't thought of. Great list!! Thanks so much!! Thank you for linking up at Family Fun Friday on HappyAndBlessedHome.com! Great post! !